I mentioned the book Flow over Parents’ Weekend, and subsequently have been thinking of the delineation between pleasure and enjoyment as outlined by Mihaly Csikszentmihalyi. 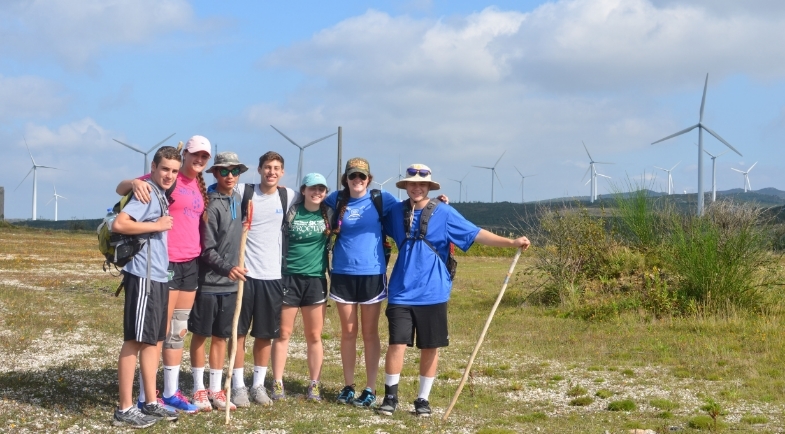 I was prompted to take up the topic after reading the latest blog post from Spain detailing the segment of the Santiago el Camino pilgrimage Proctor students recently walked over three days. In the 21st century landscape, pleasures abound: food, rest, vacations, video games, a trip over to Jake’s for a breakfast sandwich, an hour at the foosball table, getting hooked on old M*A*S*H reruns. These all can offer a necessary and wonderful psychic break from the stresses we encounter. And we can get hooked on them, try to string hours and days of pleasure together. But pleasures, Csikszentmihalyi writes, “… do not produce psychological growth. They do not add complexity to the self. 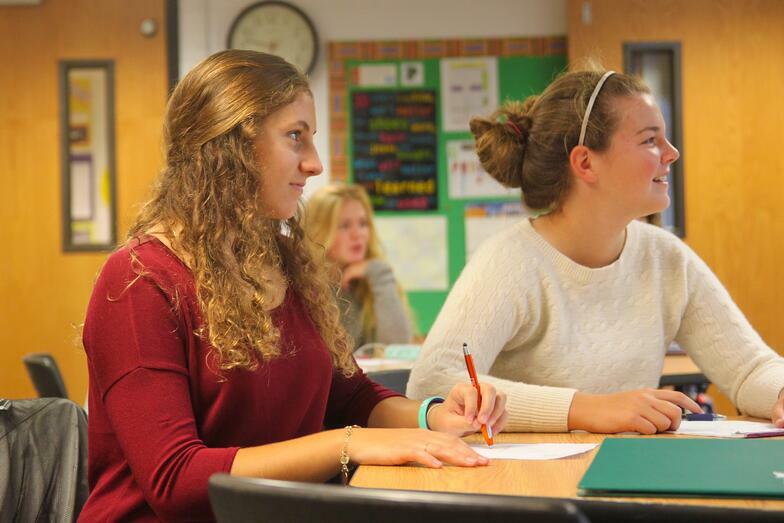 Pleasure helps to maintain order, but by itself it cannot create new order in consciousness.” Students on the Camino de Santiago commit to a different path, but it’s not easy and not always comfortable. 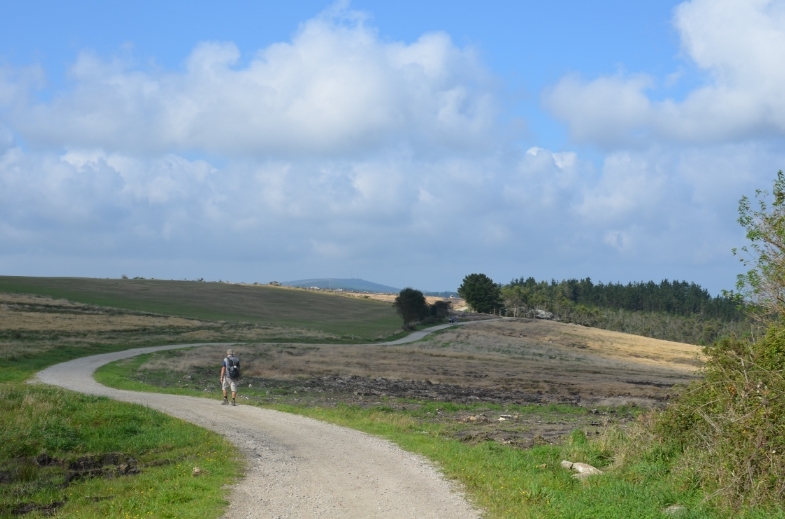 Cole Bickford writes about walking the Camino de Santiago: I was originally walking the Camino because it was, for lack of a better term, ‘required’ for the trip. It wasn’t until about two hours of walking that each ear of corn, each ear on the cows, and each sound in my ear became irrelevant. My mind cleared and I understood why I was walking and why I wanted to continue to walk. The silence. The lack of tritone ring from smart phones. No computer screen in front of my face. Just the roaring silence of nature….With each step a new thought arose in my mind, another self-created issue vanished, and walking became therapeutic. Cole, and the other students who walked the 65 kilometer segment of the trail, may have transitioned from a state of disinclination and disengagement that “requirement” can sometimes trigger, to deep engagement. To enjoyment. These kinds of experiences resonate in a different way, often tampering with notions of time by seemingly speeding it up or simply removing it as a framework. They are experiences that are not forgotten the way a simple pleasure can move from the intensity of a moment to dissolution after an hour or a day. But to get there, one has to “…give up the safety of protective routines,” Csikszentmihalyi writes. “Only when a doubtful outcome is at stake, and one is able to influence that outcome, can a person really know whether she is in control.” 65 kilometers over three days can do that. Setting up these kinds of experiences is not a matter of serendipity, of just waiting for them to happen. They require commitment and planning either by the individual or institution. But when that state of enjoyment is experienced, when it is reflected on as students in Spain have done, simple pleasure will be seen for what it is. One becomes hungry for the deeper experiences that can create “new order in consciousness,” which is one of the goals of the learning life.